When thinking about vinegars I would never have thought it could be so delicious and find wider usage along with salads and marinades. 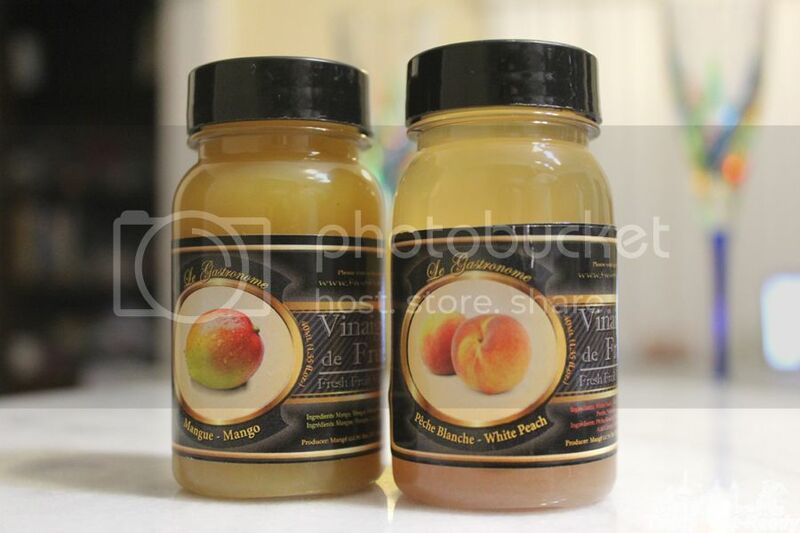 Recently I had an opportunity to try Mangé’s fruit vinegars – Mango and White Peach. They are made using fruits that has been picked at its peak, puréed and preserved in vinegar. The process allows the vinegar to capture the essence of each fruit’s natural flavor, creating a nice burst of fruitful flavor that can be added to any salad, appetizer, entrée, dessert or cocktail. Good to know that Mangé’s furuit vinegars are all natural and made without preservatives or synthetic dyes. Eleven flavors are now available on the market - Blackberry, Blood Orange, Cherry, Fig, Green Apple, Mango, Passion Fruit, Pear, Raspberry, Red Pepper and White Peach. Mangé web site has lots of recipes for using fruit vinegars in salads, BBQ, seafood dishes and cocktails. Check them out for inspiration, may be you come up with a new recipe. 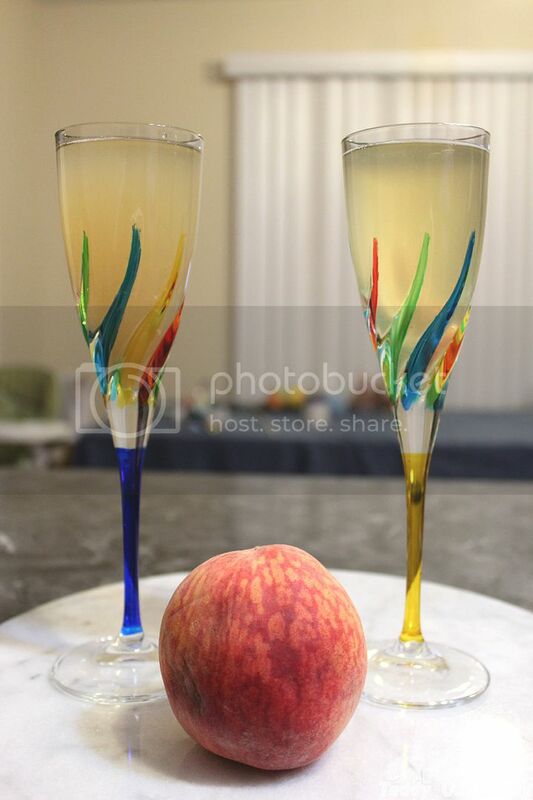 We decided to try White Peach in Health Peach Bellini recipe adding some champagne. I think fruit vinegars bring lovely and tender taste same as you feel when you eat fresh fruits. It was quite unusual to have vinegar in our cocktails but I think it was quite an experience. White Peach vinegar is a fancy flavour which enriches Bellini with somewhat gentle and subtle. If you like fresh fruit taste you can add fruit vinegars to salads. We tried fruit vinegar in ours and liked that true fruit taste Mango flavour brought. As said the founder of Mangé Christopher Spivak - “Most people think that if you’ve tried one vinegar, you’ve tried them all – I certainly felt that way, that was until I traveled to France and experienced a real fresh fruit vinegar. At that moment, I knew there was an undeniable difference between fresh fruit vinegar and every other vinegar on the market.” And it is difficult not to agree with that.